Lenovo K8 Note Dual Sim provides the experience of a theater on a mobile platform. 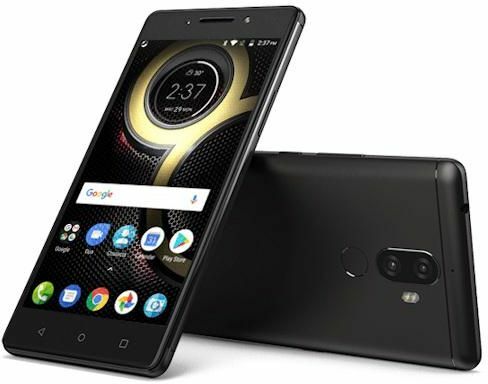 Lenovo K8 Note has a very powerful 10 Core processor.Sporting a whopping 2.3 GHz Helio X23 10 Core processor, performance is the name of the game with the Lenovo K8 Note Dual Sim. Assisting the CPU is the Mali- T880 MP4 GPU. A 4GB RAM and 64GB internal memory grants you ample room for all your personal files and applications. This can be expanded further up to 128GB so that you never run out. Running on a stock Android v7.1.1 Nougat, the Lenovo K8 Note provides a seamless and responsive experience. The Lenovo K8 Note has a carefully crafted symmetrical design, with corners tapering into ergonomic curves. It has a premium metal body with the Venom Black color, making it look smart and dignified. The 181g body is splash-resistant and fits smugly into the palm of your hand. The phone has two nanoSIM slots with a dual-standby function. You can get 4G LTE data speeds through both SIM cards. A 15W charger tops off the 4000mAh battery in just a matter of minutes. The K8 provides wireless technologies such as Bluetooth, A-GPS, and FM Radio. Connect to your PC, laptops and power banks with the micro-USB 2.0. Dolby Atmos brings their quality cinema sound for mobile devices. Movie quality surround sound has been fine-tuned into the Lenovo K8. This gives the sound a 3D feel as it flows freely, providing you an immersive experience. Just as a theater is an audio and visual medium, complementing the Dolby Atmos is the TheaterMax technology. The TheaterMax software divides the screen into two parts, like a split-screen feed. Switching to VR mode and strapping on a VR headset transports you to a virtual theater. A 5.5inch full HD screen with a resolution of 1920x1080p adorns the phone. The IPS capacitive touchscreen displays 16 million colors. With the combination of all this technology, the screen shows sharper, precise and more detailed texts as well as images. Protecting the screen from harm is the Corning Gorilla Glass 3 technology. Twin cameras protrude from the rear of the device having resolutions of 13MP and 5MP each. They work together to create the feeling of distance, producing an image quality similar to a DSLR camera. Added to this fearsome ensemble is a dual LED flash. This technology can adjust the color of the flash to provide the perfect white balance to suit any environment. An additional 13MP front-facing camera with a party flash is perfect for capturing you in all your glory, in any lighting condition. 87% of users recommend this product to a friend. ALL IS WELL ACCEPT HEATING. LENOVO SAID DECA CORE IS INSIDE BUT WORKING LIKE HEXA CORE.. CAMERA FUNCTION IS LIMITED BUT QUALITY IS SUPERB.. SIZE IS TOO BIG BUT STYLISH EYE CATCHING DESIGN... IN THIS PRICE THIS PHONE IS BETTER THAN THE BEST. THANK YOU SELLER AND SOUQ.COM. Good phone for a good price. Heating problem became better after updating.